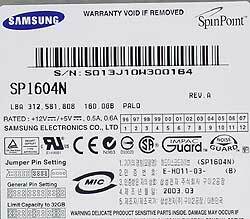 A while ago we tested a preproduction sample of the Samsung SpinPoint SP1604N Hard Drive. It had fairly good results, but the manufacturer wasn't satisfied with them and offered a production sample. We certainly accepted it - a user must know characteristics of a drive he's going to buy. Judging by the firmware version TM100-23 (and the code 2, which remains a mystery for me), the production model has a different firmware version. 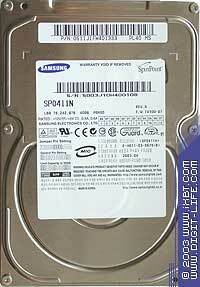 Beside the 160GB, Samsung gave us a "low-profile" drive of the PL40 line - SP0411N. Such single-head discs are produced by Maxtor as well. It seems that Samsung is going to compete primarily against Maxtor judging by the range of interfaces and features of the lines. 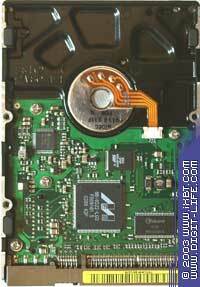 The technical data of the drives are given in the table. Unfortunately, the company hasn't provided yet characteristics of the P80 line with a parallel interface at their site. 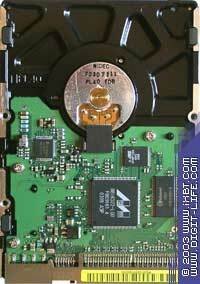 That is why the features below are presumable (according to data for the SATA drives). When I reviewed the SP1604N drive I wrote that it had excellent acoustic characteristics. Now let's take a look at its junior brother. 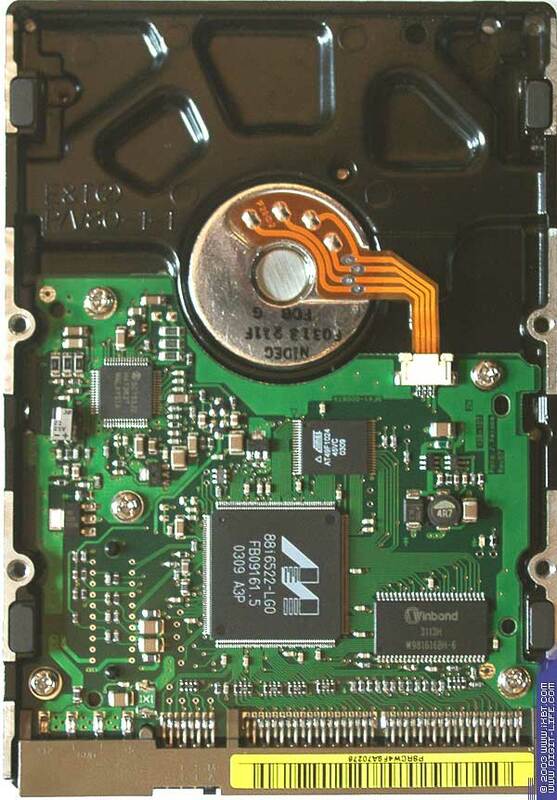 The results of the Maxtor 6Y080L0 drive of the same record density and interface were used for comparison sake. 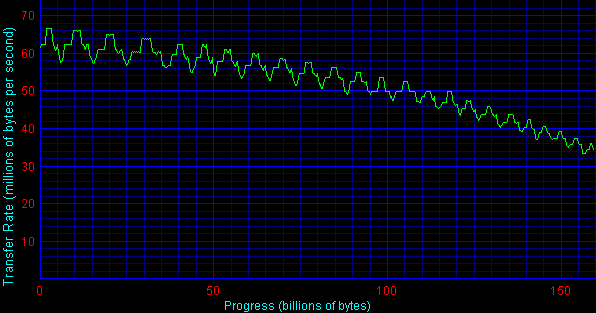 The maximum linear read speed has grown by 5,000 thousand bytes per sec! That's quite a lot. Have a look at the diagram. Well, the graph moves upwards. If the "elastic BPI" (Bits per inch, linear read speed), which we spoke about in the SP1604N drive review, allows for such spread in data between the samples, there is nothing good. Users can't ask to test all drives before purchasing. The SP0411N doesn't have a high linear read speed, - the drive is still of the entry level. The diagram is even - the head is only one. The new drive SP1604N has a better average read rate, but its write speed is still worse, though the results are generally better. However, one should be very careful about the HDTach data, as the experience shows, but still, let's take them into account. The newer version of the SP1604N raised its level in the Ultra ATA/133 mode. Here it is closer to the Maxtor 6Y080L0, and it even takes the lead with the NTFS. As expected, the SP0411N is slower - the linear read speed is lower, and the access time is higher. The scores of the newer SP1604N are definitely higher. The SP0411N goes on a par with the older SP1604N though it performs smoother in Ultra ATA/133. 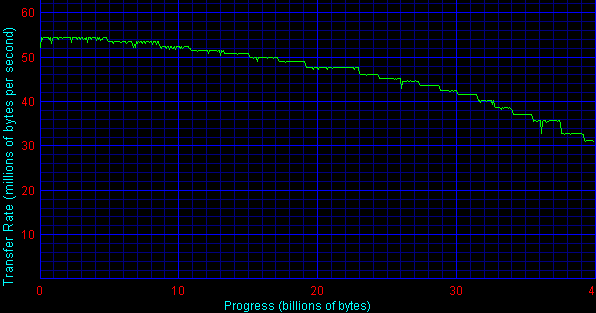 The scores of the newer drive sometimes reach the 5% growth. The SP0411N comes closer to the preproduction version of the SP1604N in this pattern. The newer SP1604N is definitely ahead. The operation in the Ultra ATA/133 is obviously different. In general, both Samsung drives have perfect scores! The SP1604N as the top solution goes ahead. Both SP1604N drives work differently in the Ultra ATA/133 mode. The angle of inclination of the diagram at larger loads is greater. But still, the SP0411N performs best of all in case of the heavy loads. Is it because of the single head? Well, I'll try to test a 40GB model of the SP0401N. In case of the Ultra ATA/100 only the newer SP1604N has a curse shape identical to the SP0411N, and in case of the Ultra ATA/133 both SP1604N drives have the same curse shape. But the newer drive has a big advantage. Now come the new tests. 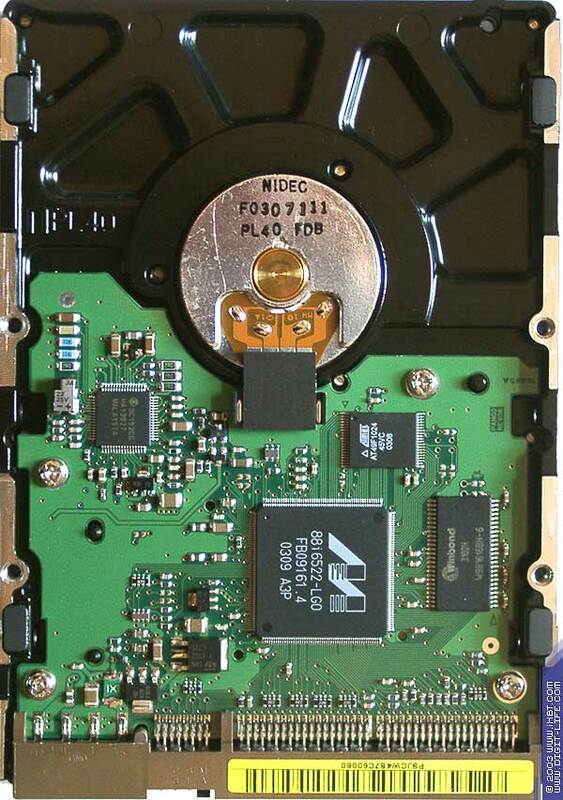 Unfortunately, the Maxtor DiamondMax Plus 6Y080L0 and the older SP1604N were not tested in these applications, and we took the scores of the 6Y080P0 drive with an 8MB buffer. It's not very correct, but it's better than nothing. That's the cost of the period of transition :). First of all, in the Database pattern (8K blocks, 100% random requests) the correlation of read/write requests was changed. The queue length was fixed at 1 (linear load), 16 (light) and 256 (heavy load). 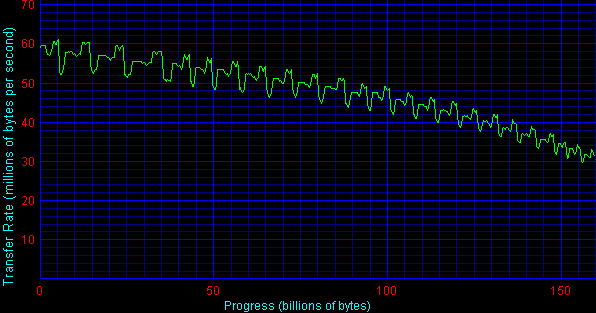 The scores are given in IOps (Total I/O per Second - an average number of requests per second). 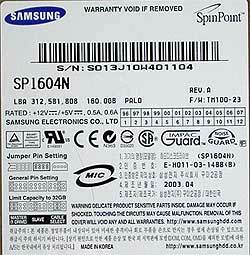 Brilliant scores of the Samsung SP1604N and very good ones of the SP0411N. The next test deals with serial modes. The drive gets requests for reading or writing of data blocks the size of which gradually grows up. The queue depth is fixed at 4 (very light). In the mode of Ultra ATA/100 the drives reach the maximum performance at the block size of 16KB, and in case of the Ultra ATA/133 the Maxtor 6Y080P0 hits the ceiling a bit earlier - at 8 KB. The figure itself is obviously proportional to the maximum linear read rate. Here the the Samsung SP1604N takes the lead in contrast to the HDTach benchmark. The SP0411N has some problems when recording large blocks. As I mentioned in the review, the Samsung SP1604N is amazingly noiseless, especially when the heads are positioned. It was made possible with the SilentSeek technology. The SP0411N is also a quiet drive, but it is a bit louder. Probably, it's caused by the different body design. The production sample of the Samsung SP1604N drive performs brilliantly. The only thing it lacks for is a good promotion of the Samsung trade mark in the sphere of hard drives. No secret that a name often works as a determining factor. If Samsung's drives develop further at the same rate, the trade mark will win the recognition. 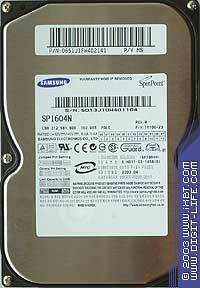 The SP0411N is a good entry-level drive. The scores are high, only the access time is relatively large. Add the 3-year warranty. Is it worth attention?